In the HVAC world, service agreements can be the bread and butter of a business. They tend to offer the luxuries of loyalty, repeat business, and up-sale opportunities that aren’t always available from non-service agreement situations. Not every customer will commit to a service agreement, but that doesn’t mean you should quit trying for the sale. If you want to sell more service agreements, you need to make the offer more attractive to your audience. It starts with your technicians. You’re not going to sell more service agreements if your employees aren’t invested in your company. No customer cares what’s on that piece of paper if they don’t like individual who is selling them the service, which means it’s up to you to employ the best people before you even attempt a sale. Arm your technicians with ample amounts of information about what they can offer, and have periodic meetings so everyone can share ideas. Emphasize the importance of engaging the customer from the moment they first meet them so they can build rapport throughout the service call. Random small talk can reap big rewards in the end. Embrace variety. 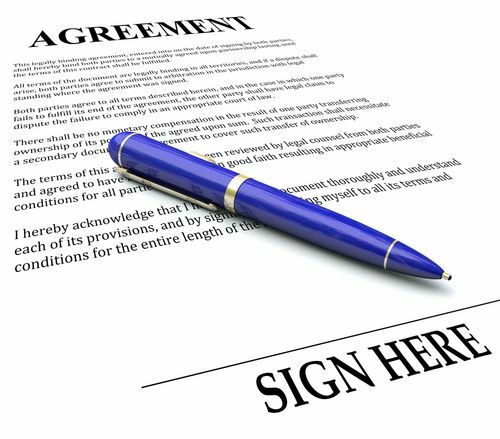 Assuming that all customers will lock onto one agreement is a major mistake that will cost you sales. Instead, create a menu of options from which your customers can choose, incorporating various price points, coverages, and terms of service. Think in terms of bronze, silver, and gold service agreements. A lower-level cost will entice customers who may be interested in committing, but can’t afford the more substantial cost associated with the premium option. Each of these can be offered in one-, two-, or three-year terms, too. By allowing your customers to choose from a variety of plan options, you’re more likely to make the sale. Learning how to sell more service agreements is just one of the many ways enhanced marketing efforts can boost your ROI and make you stand out from your competition. Check out our continuity marketing blog for more contractor marketing tips!